When is a sofa more than a sofa? When it’s an exclusive Z Gallerie modular designed sectional. Express yourself with the clean design of our distinctive collection of modular sectional sofas. Select for an elegant stand-alone, or create a sectional grouping. Z Gallerie sectional sofas fit your lifestyle with customizable configurations and fully finished pieces. Z Gallerie’s modular sofas let you create an intimate space or build an expansive focal point in the room. 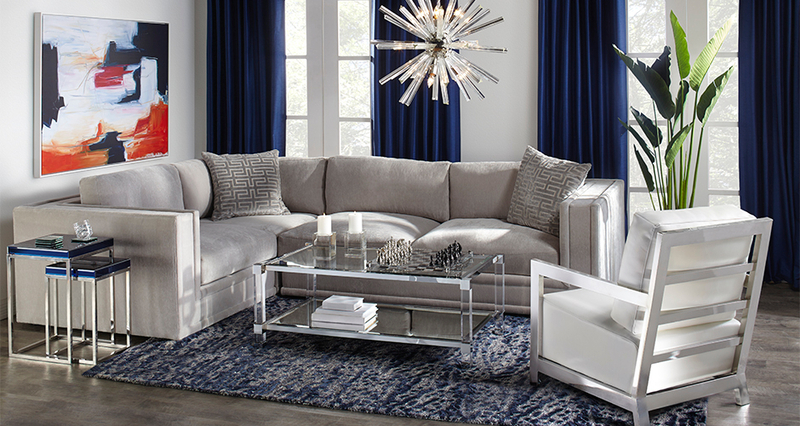 Z Gallerie’s modular sofas and sectionals offer a myriad of design configurations. Encased with upholstery in both a range of fabric hues and leather, the interior construction is designed for comfort and performance. For a room that fits your unique lifestyle, let Z Gallerie define your space with its fully configurable collection of modular sectionals and sofas.